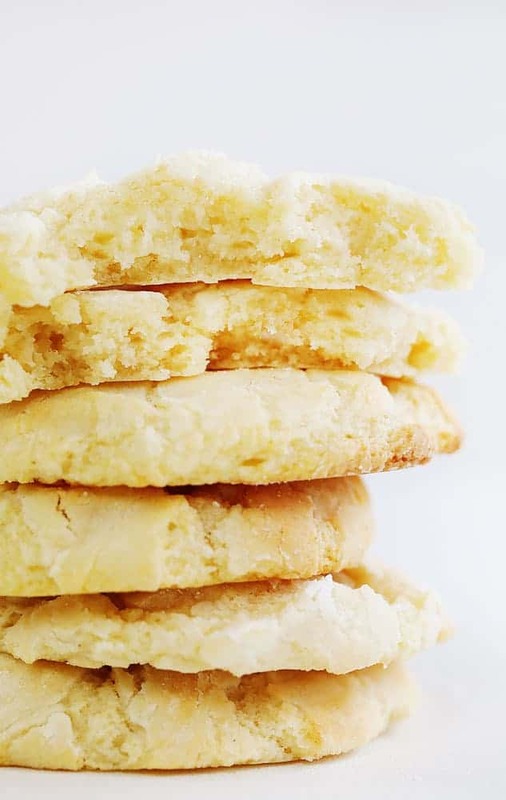 These from-scratch Ooey Gooey Butter Cookies were inspired by my Ooey Gooey Butter Cake! They are sweet and satisfying and super fun to make! 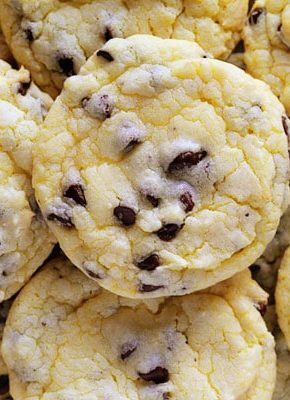 Don’t miss my 50 Best Cookie Recipes if you want more great cookie options! Although my Ooey Gooey Butter Cake recipe is made with cake mix, I wanted to try a from-scratch version for the cookies. 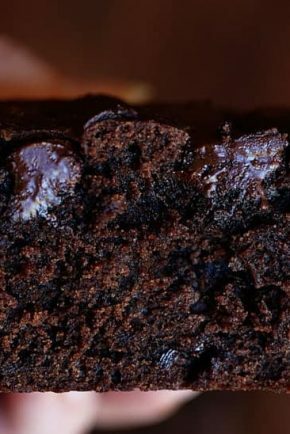 I tested quite a few recipes and was troubled by the flavor and consistency that they produced. So after a lot of tweaking and a lot of eating (no complaints here! ), I finally settled on a cookie that everyone loved. 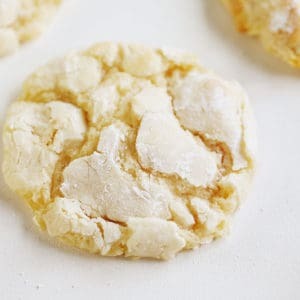 This version is inspired from the Ooey Gooey Butter Cookie from Taste of Home, only I removed the dry milk powder (oh my word NO ONE liked how that tasted) and replaced it with confectioners sugar. 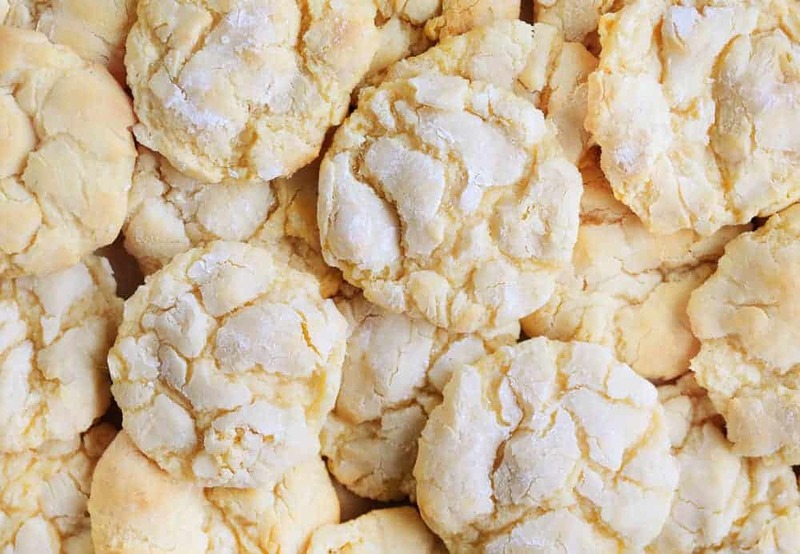 What Are Ooey Gooey Butter Cookies? Basically one of the sweetest cookies known to man! When my husband tried one his response was, “I don’t think I have tasted anything like this before.” (and he has tried every cookie I’ve ever made!) I presented him with this challenge. Try a bite, and if you can’t help but go for a second bite (as in, you’d fight me if I tried to take the cookie away) then I know they are a winner. He absolutely wanted a second bite and finished off that cookie quickly! These cookies are addicting, which is tough because they are so sweet you know you shouldn’t eat two! The ingredients for these cookies are all items you probably already have in your pantry! Following the directions, combine the ingredients, roll on confectioners sugar and bake. Now, you may have noticed that I did not refrigerate the dough. Most recipes call for this so I, of course, tested that. What exactly does refrigerating do for cookies? Well, when you chill cookie dough, it solidifies the fat. 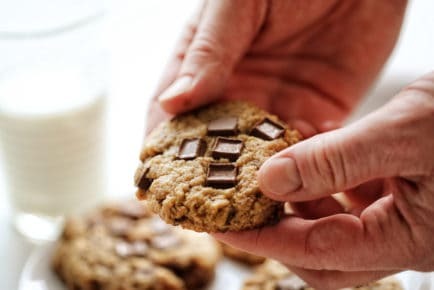 Then, when you are ready to bake the cookies, the chilled dough takes longer to melt and remains solid longer, meaning the cookies spread less. For this recipe specifically, that meant the cookies were much more puffed up and tall, which also meant I had to bake them a bit longer to make sure they were actually baked through. The edges browned and didn’t look as pretty as I would like. Those cookies actually tasted less ooey gooey when the dough was chilled, so I opted to delete that instruction and use the dough immediately after preparing. The cookies are a bit flatter, but they are still just as ooey gooey and delicious! The very best way to freeze these cookies is to freeze the dough. I like to scoop out my individual cookies, place them on a baking sheet, and then place in the freezer for about 30 minutes. Once they are chilled through, I place them in an airtight bag and then label it with the cookie name and date. If you want to store baked cookies, grab a large flat plastic container and place a layer of parchment or wax paper on the bottom. Set cookies down, place another layer of wax or parchment, then another layer of cookies. Set a slice of bread in the container and close. 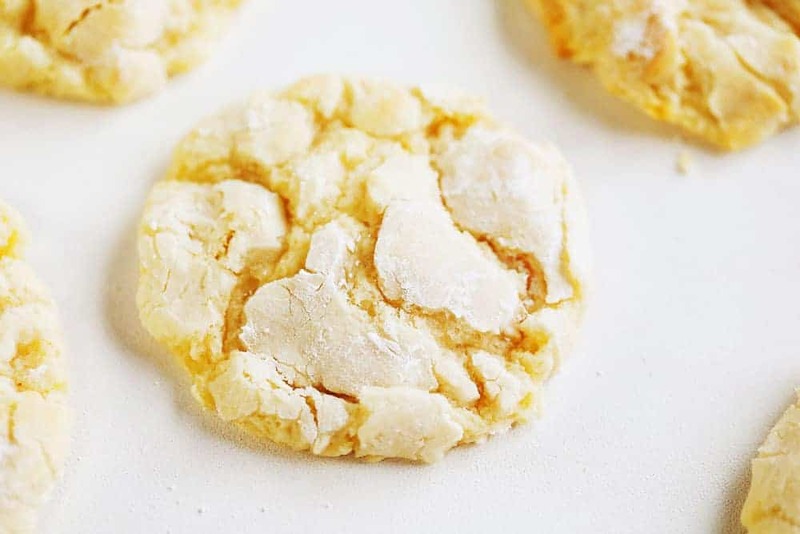 This delectable butter cookie melts in your mouth! In a large bowl using a hand-held mixer, beat butter, cream cheese and granulated sugar until blended. Add in flour, baking powder, and 1/2 cup confectioners sugar. With the mixer on low, gradually beat into creamed mixture. 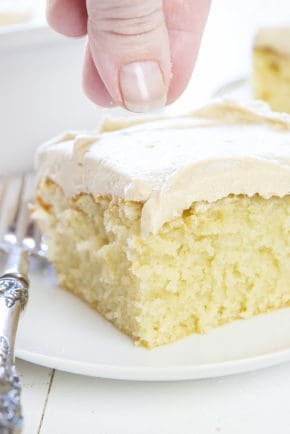 Using a 2-tablespoon cookie scoop, scoop dough and then roll in confectioners’ sugar. Place approximately 6 dough balls on parchment paper-lined baking sheets. Bake until they no longer appear wet on top, 8-11 minutes. After about 5 minutes, place on wire racks to cool. 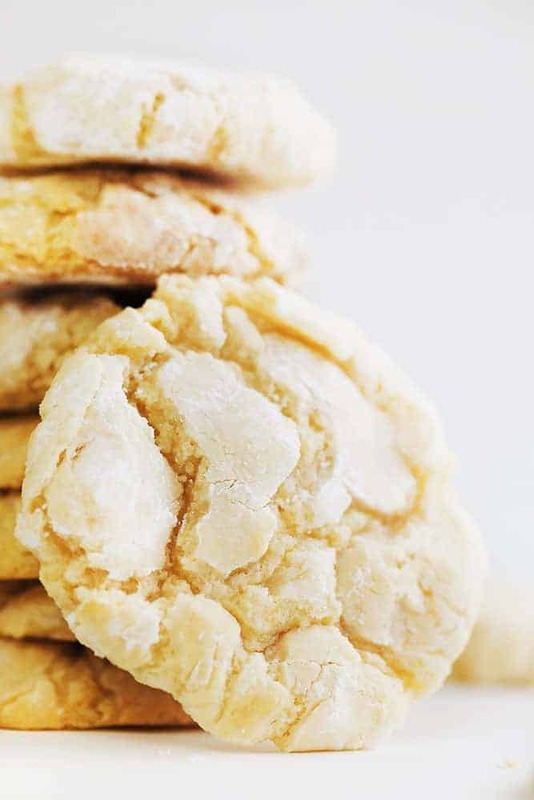 If you love these Ooey Gooey Butter Cookies, you may also like my Ooey Gooey Cakes! This past Christmas I made a quite a few batches of these cookies. Some in red and others in green. They were always a hit. hard to eat just one. oh yum.. these look great. LOVE Butter cookie but if I want to put sprinkles on when would you do that? put on before baking? Whoops! I didn’t catch that! The written recipe is correct. Will have to make note of that in my post. Thank you. I can’t wait to make them !!! The video shows adding baking soda but the list of ingredients have baking powder. So does it make a difference which one is used? Hello in the video for your ooey gooey cookies it’s says add baking soda and not baking powder as the recipe calls for. Just wanted to point that out. 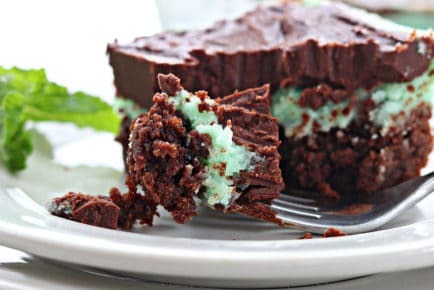 Can you make these into chocolate cookies? This recipe called me all week long! I took creative license and added, instead of vanilla,zest and juice of a small lemon, along with 1/8 tsp lemon extract…THEY ARE AMAZING!! Thanks for a successful Saturday baking session! Baking powder or baking soda? The video says soda but recipe powder. I used powder and it’s doesn’t look right. I so enjoy your recipes! My Ooey, gooey butter cookies did not flatten out. ( I wish they would have!) They were large and very puffy. I was surprised that the recipe called for 3 tsp. Baking powder…? Made these today, cookies never flattened. Baked 350 12,13 & 14 minutes. Flattened by hand after out 5 minutes. ? I dont know why these cookies are called gooey. They taste more almondy than buttery, but are certainly not gooey at all. Its more of a cake like cookie. They do stay soft n still tasted good past a week. 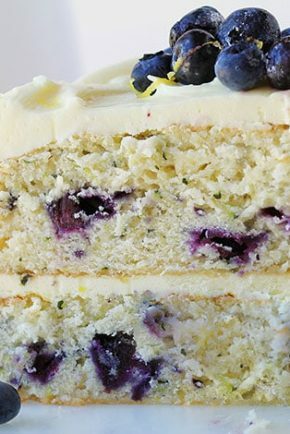 I will make these again but instead of adding almond extract i want to try lemon n also add some lemon zest. Thank u for the recipe. The recipe calls for baking powder the video shows baking soda which is It?? Is there something I can use as a substitute for some of the cream cheese? To help make it a little lower in sodium? Receipe says baking powder…video says baking soda…which is it please!!! !